After the incident last week where former Gizmodo employee Mat Honan’s Twitter, GMail, Apple accounts were compromised along with his Mac and iPhone being remotely wiped, Apple has taken a step to silence the criticism. An anonymous Apple employee acknowledged the existence of such a suspension, and has suggested that this most definitely will be a small look into tighter customer verification that Apple is looking into deploying across their services. A new incident reflecting Apple and Google’s “not so friendly” situation has come to pass. Following the replacement of Google Maps for Apple’s self-developed 3D maps and the replacement of Google for Baidu as the basic search engine in the Chinese market, the YouTube application has been removed from the new iOS. According to http://9to5mac.com/ and other sources, deletion of YouTube app on the fourth iOS beta has been confirmed. 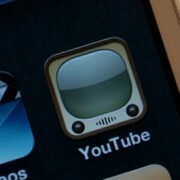 YouTube application has been a default application on the iOS since 2007, showing the tight relationship between Google and Apple. Apple has stated “YouTube has been removed from the basic apps because the license agreement has ended and we will not be mounting YouTube from iOS6”. 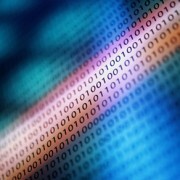 Apple has avoided mentioning reasoning behind not extending the license agreement or changes in relationship with Google. Google has stated “We are cooperating with Apple to provide the best YouTube user experience for iOS users” and did not comment further. This does not mean iOS6 users can no longer use YouTube on their devices. YouTube can be accessed from the Safari browser and Google is developing a new YouTube app that will be available for download on the App Store. However, there is a big difference in terms of business. The traffic resulting from users of YouTube is a very important source of revenue for Google who is highly dependent on ad revenue. If the users are given a choice instead of it being default, utilization is bound to be greatly reduced. It is reported what Apple is aiming for is reduced utilization of YouTube and Apple no longer wants to share profits gained from traffic generated by iPhone users with Google. The purpose behind the replacement of Google Maps and of Google search engine is thought to be the same. If both are changed to choices instead of built-in features, it is bound to have an enormous impact on Google’s revenues. Attentions is drawn to what would be the outcome of Google and Apple’s relationship which has begun souring since the last CEO of Apple, Steven Jobs, had criticized Google’s advancement into the mobile market. I used to hate Bill Gates, along with everyone else. 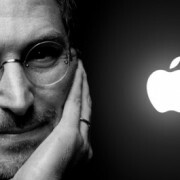 But I’ve also grown less fond of Apple uber chief Steve Jobs over the years as well. It was always cool to hate Bill. His control issues, his company’s lack of innovation, his copying and imitating and what some would call outright theft of others’ ideas, the spectacular and endlessly irritating flops. Microsoft was a postal box for royalty cheques people said. And he looked hateable too, like Nixon. Steve, on the other hand was always viewed as the antithesis of business blue Bill. A cultural creative and orphan, with a messed up personal life, he was a blueprint for the tortured genius. For years, guessing Steve’s genetic origins was a Silicon Valley parlour game. And he was a rebel to boot. Remember Apple’s famed Orwellian television ad in 1984 showing the robot slaves of Microsoft paying homage to a nondescript black box, until one breaks ranks and throws a spear through it, freeing them all? Investors mothered him. But then something changed. After Job’s caprices at Apple got him bounced from the board and the fortunes of the company turned sideways, it was Bill Gates of all people who rode to the rescue, providing a much needed cash infusion in a late night phone call to Jobs, who was later quoted as having said, ¨Thanks Bill. It’s a better world.¨ I’m not sure if that conversation really happened or not, I merely remember reading about it in the newspaper. But I did notice that Apple seemed to grow more litigious after Jobs was anointed CEO in the late 1990s. Suddenly there were stories about lawyers in black suits with briefcases showing up at high schools to threaten kids with lawsuits. Nevertheless, over the following decade Apple reached that golden intersection of narcissism and creativity that makes for business success on a huge scale. And if some like myself became increasingly irritated by Apple’s attempts to control the mobile world, even to the extent of forcing users of the ‘USB and card slot free’ iPad to purchase adapters, well there that Bill/Steve configuration at work I suppose. However, I think Apple shareholders are in a complete state of denial with respect to the future of a Job less company. Apple stock is little unchanged since the news of Jobs departure, an event which I believe has been grossly underestimated. I suppose with millions of iPhones and iPads rolling down the chutes investors think there is no need for for a creative genius at the helm in the foreseeable future. But in fact, I think there is greater need for Jobs at the helm going forward than ever before, which is why I haven´t been tempted to run out and buy Apple stock even on recent dips. However, even though I hate Steve Jobs, and as stink eyed as I am over the company’s near term future, I still want them to win. I’m still rooting for them, because everyone loves a winner. Apple now has a place in the pantheon of American business innovation, along with Ford and GE. It’s simply too famous to fail. We won’t let it. But it’s sure going to get bumpy ..
Technewsgalore by for3v3rforgott3n is licensed under a Creative Commons Attribution-NonCommercial-NoDerivs 3.0 Unported License.